All the ways I am richer than Trump. The morning you were elected we, in Denmark, woke to snow. My children laughed and pressed their faces up against our glass back door. I wonder, are you capable of such simple pleasures. These pleasures add a rich tapestry to our lives. Finer than any that hang in a museum. Do you know these riches? We might not be able to afford a bedroom for each of our children, but I live in a house with insulated walls. We have food in our cupboards. We may not have long term job security, or own property, but on a global scale we are fortunate. I am grateful for this fortune. I know myself to be rich. 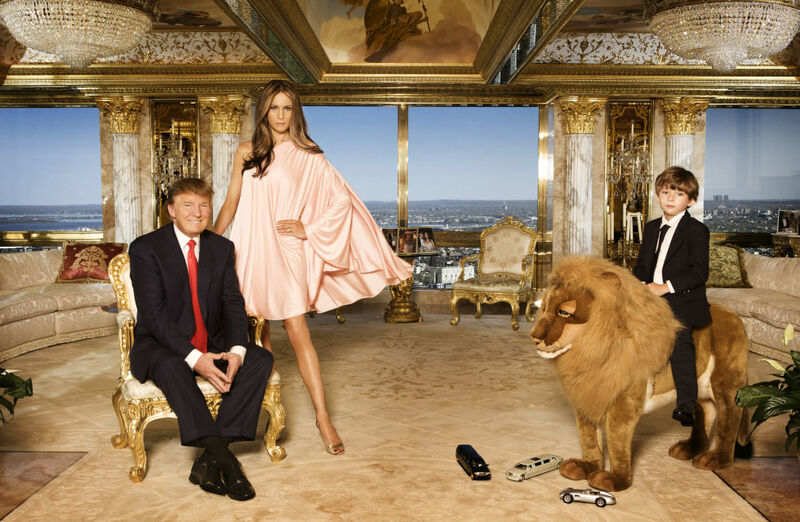 Trump and his gilded chair. Regine Mahaux, Getty Images. You live in a house with gilded chairs. Are they any more comfortable than my Ikea armchair? Is your table as precious to you as my coffee table? The one given to my mother for her 21st birthday. Stained and battered with the memories of all our childhoods? Is there anything in all your towers that you truly love, Trump? I have a marriage based on the principles of equality and respect and love. Is your marriage as rich as mine? I should not presume to judge you. Yet, I see little to envy. Perhaps you think others respect you. I can tell you respect that is bought with money, respect that is sometimes a masquerade for intimidation and fear, is no respect worth having. I am so fortunate to be a woman living in a time and place where I have a right to an education. For centuries women’s lives were dominated by the the burden of reproduction and now I have choice. I have two children I love and chose to have. Now I can choose to not have any more. My life is so rich for these choices. Rich in ways I do not think you can begin to comprehend. So I will continue to speak out for the right of all women around the world to control their fertility. You and your establishment friends seem to see this as something to be controlled and feared. How sad for you, to be so afraid of our wealth. I am rich because I see science as a contribution, as mankind’s greatest gift to itself. I do not fear it, or try to deny it, even when it tells me things I would not like to hear. I heed its warnings and believe we will continue to progress. I am rich because I believe in our ability to work together. The world has done this before and with our collective weight we will not let you stand in our way. I am rich because I choose to use my privileges to speak for those in need. Instead of shouting the loudest, I have learnt to listen. There is so much to learn in this world. I do not think I have all the solutions, but I can work with people and together we achieve great things. Things that are truly great. Not just great for some. I am rich because where you promise walls, I would build bridges. Have you heard the story of King Midas? He was so greedy he wished to turn everything he touched into gold. But when he could no longer eat and drink he regretted his wish, and once he had turned his daughter to gold he loathed it. Have you been careful what you wish for Trump? Your name will go down in the history books. I will be forgotten long before you. My legacy will be small. Confined to the corner of the world I inhabit. I look at my children and I see so much potential. I see the real treasures of this world. If I can raise my children to be kind, to act selflessly, to listen and learn and respect all people, regardless of their ethnicity, their sexual orientation, their abilities, then I will consider my life a life well lived. You might think you have it all: money, power, prestige. I look at your life, Trump, and I see nothing that I want. I am far, far richer than you.